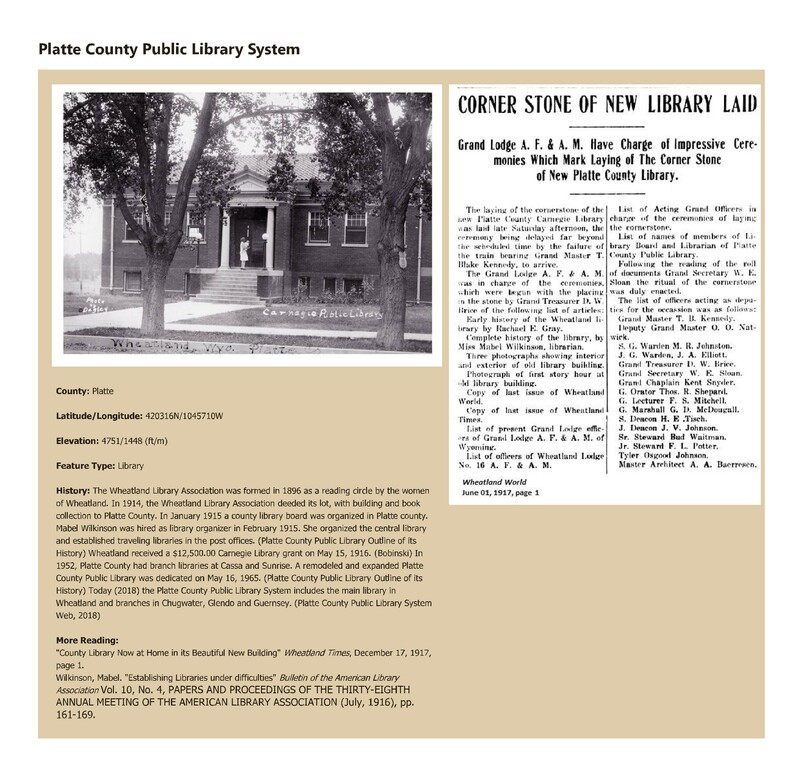 Topic: "County Library Now at Home in its Beautiful New Building" Wheatland Times, December 17, 1917, page 1.; Wilkinson, Mabel. "Establishing Libraries under difficulties" Bulletin of the American Library Association Vol. 10, No. 4, PAPERS AND PROCEEDINGS OF THE THIRTY-EIGHTH ANNUAL MEETING OF THE AMERICAN LIBRARY ASSOCIATION (July, 1916), pp. 161-169.